AUCTION: Friday, 10 May 2019 at 12:00pm Harcourts Wellington City Office (unless sold prior). If you are a first home buyer, have a small family, are downsizing or simply looking for a modern, easy-care house with great sun - look no further than this charming home in popular Brooklyn. With sweeping bush views facing north and west, this one level home (with a carport at the door) offers so much. Surprisingly roomy with three bedrooms plus a sizeable study, you'll love relaxing in the sun-drenched open plan living/dining room with indoor/outdoor flow to a sunny deck for afternoon or evening BBQs. A modern kitchen and bathroom (with a separate w/c) will see you through the years to come, plus a heat pump and an HRV system keeps the home warm and dry. Situated on a back section for privacy and bush views, it's an easy walk to the bus stop, with the bustling village with its renowned cinema, library, cafes and shops just a short drive away. 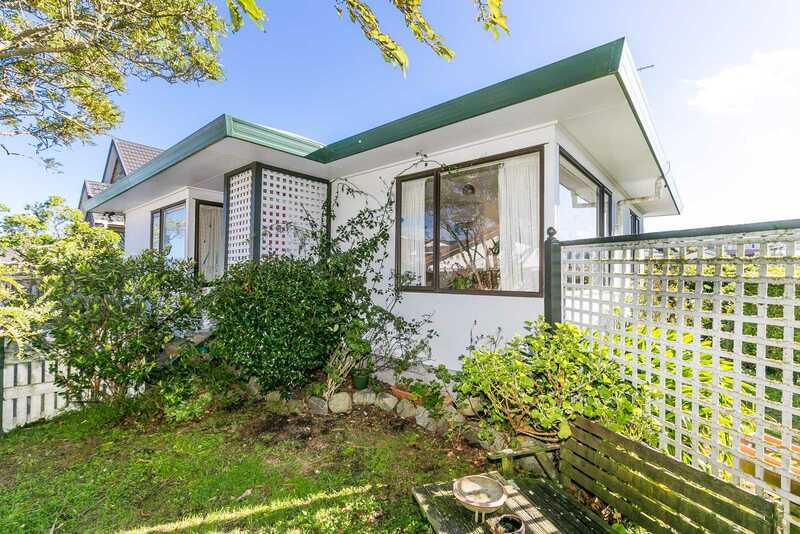 With a pretty garden (plus garden shed) to potter in, and the Zealandia sanctuary with its abundant birdlife on your doorstep, you too will be as happy living here as our long-time owner was. LIM and building report ordered, this is a must-view opportunity. Call now to inspect! Saturday 27 Apr 12:30 p.m. - 1:15 p.m.
Sunday 28 Apr 12:30 p.m. - 1:15 p.m.
Saturday 4 May 12:30 p.m. - 1:15 p.m.
Sunday 5 May 12:30 p.m. - 1:15 p.m.